For centuries, finials have been used as decorative accents on rooftops and other architectural features around the world. 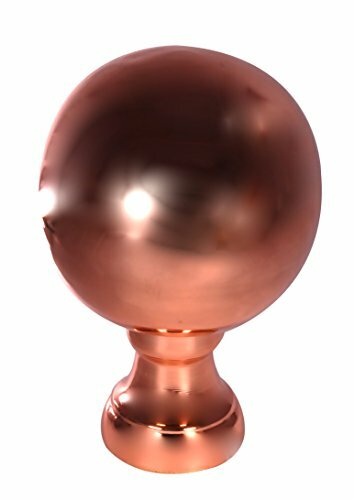 This pure copper finial is handcrafted by old-world craftsman using tried and true techniques. Copper is one of the most durable architectural metals available. The copper on this finial has been highly polished and left untreated so it will develop a natural blue-green patina bloom over time. If you wish the finial to keep it's polished finish, you can apply an acrylic clear coat spray to it prior to installation. The protective coating will keep your finial looking new for years to come. This finial looks great on almost any rooftop including the roof of a home, garage, barn, shed, gazebo, or office building. It is also an attractive focal point when used in the yard or garden.